Blair (Nicole) Owens is, when we first meet her, 25 years old and works as a librarian in her local public library. She has a sister Morgan who is 28, and they live with their parents at Hanover House that offers accommodation for ex-prisoners and the like on Cape Refuge island. The place is run by their parents, two highly committed Christians, who are unfortunately both murdered right at the start of the first book. Blair is a strong, sometimes violent, character who at first does not share her parents' faith ("I don't believe in God") but can it be long before she is converted? Surely not with this author and these publishers (Zandervan). She is still single because of the “red, hideous scars on the side of her face, which repulsed the men who were attracted to her other side" (her "inner beauty"). These were the result, her parents had told her, of a grease fire that had erupted in their kitchen when she was very young. But she makes a determined and courageous investigator using her computer skills to reveal the shocking truth behind her parents' violent deaths. As she herself says, she proves “pretty good at prying information out of people." 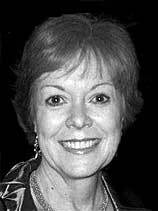 Terri Blackstock (1957 - ) spent the first twelve years of her life traveling in an Air Force family. She lived in nine states and attended the first four years of school in The Netherlands. She earned a bachelor's degree in English at Northeast Louisiana University. She sold her first novel at the age of twenty-five, and has been writing ever since, publishing over 40 novels. She became a New York Times best-seller who used to write romance novels under two pseudonyms (Terri Harrington and Tracy Hughes). After her first marriage ended in divorce, she found a welcome in her hometown church in Clinton, Mississippi, that offered a divorce recovery ministry, and where she had a "spiritual awakening". She met her second husband through the church and, after marrying him in 1992, was inspired to change track and only write books that glorified God and led readers to Him. She has three children, including a daughter with drug addiction problems whom she has spent years helping. Cape Refuge is a fictitious small barrier island east of Savannah, Georgia, on the Atlantic Coast. On it is Hanover House, a halfway home for ex-cons and derelicts run by the island's most beloved no-nonsense Christian couple, Thelma and Wayne Owens. The author explains that the couple are based on real people whom she much admires, but even so, very near the start of the book, she lets them be found spear-gunned through their throats in their warehouse church. The Owens's daughter Morgan's husband, Jonathan, is charged with the murders, but former drug addict Gus Hampton and Hanover House resident Richard Dugan also fall under suspicion. As the Owenses' other daughter, Blair, who has spent a lifetime rejecting faith and love because of facial scars from the mysterious burns she suffered as a young child, examines her parents' papers, she discovers that Thelma and Wayne had a very shady past. Also drawn into the web of intrigue is Sadie, a homeless teenager who comes to Hanover House seeking shelter from an abusive family. Then there is Good Samaritan Police Chief Matthew Cade who seems to show more than a passing interest in Blair, and reassures her about her disfigured face: "I don't see scars any more. I know what you really look like." It is a lively story that holds the attention throughout, and the very short chapters (as many as 87 of them) make it easy to read. There are some really exciting moments, as when an intruder breaks into Hanover House, as well as some less convincing and more melodramatic ones, as when Sadie's murderous stepfather keeps reappearing, but you cannot help becoming involved in Morgan's struggle to keep Hanover House running and in Blair's struggle to find the truth: “The God to whom her parents had been so devoted seem distant and faraway, too busy with other matters to waste his time with her." And she demands, "Was God sleeping when my parents were murdered? Or did he cause their murders? And if he did, then why should I pay homage to him?" Some people may find all the religiosity off-putting (this book, like the other three, is “lovingly dedicated to the Nazarene") but the author does try to face up to real issues, although as she admits in her afterword, “I don't understand suffering. This past year has been a time of grief for my family and many of my friends, and if I could, I would lift it off us and make it go away. But I can't .... Our God has plans and purposes that are far beyond our understanding. Sometimes those plans and purposes break our hearts. Sometimes they require sacrifices we never agreed to make. Sometimes they stop us dead in our tracks, turn us upside down, inside out, and paralyse us with pain. But his comfort is not far behind. And as we climb up into his lap and weep into his chest, he whispers in our ear, “Shhh. It's okay. I did it for a reason, and someday I will tell you what it is.“ The author has no problem in imagining all her good characters being welcomed into heaven the moment they die. And, despite the terrible things that happen, characters like Morgan can turn to God and find “open arms and peace washing over her like a warm tide." It is only Blair who, as yet, fails to believe. But I have included her amongst my list of religious detectives, as it must be only a matter of time before she too succumbs. Southern Storm gets off to a dramatic start when a man steps out right in front of Police Chief Cade's speeding car. There are no identification marks on his dead body - but Cade learns that he had a gunshot wound before he was struck down. Then Cade vanishes. It turns out that the woman that Cade had last been seen with had been the dead man's wife, and rumors abound about his possible relationship with this woman and his possible part in the victim's death. But Blair Owens doesn't believe the rumors. Something has happened to Cade, and she is determined to find him. “We need a picture of her (the woman suspect). We need to show it to the ones who saw a woman yesterday. We have to find out if she was the one with Cade. She could have changed her hair, or had a wig or something." “That should be easy enough," Joe replies dutifully. “I can get a copy of her driving license when we get back." This doesn't seem any too likely. Nor is the way that Cade's lady kidnapper addresses him, “Go ahead and eat while I'm feeling generous. I don't want you dead just yet .... I plan to kill you." Her tone was matter-of-fact. “But not yet. You're still of some use to me." It's all very melodramatic and a little repititive, although even then there are some exciting moments, as when Cade desperately tries to escape. 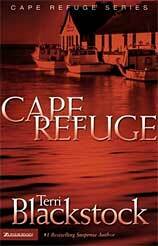 The story of how Sadie falls for Trevor Beal, the handsome star linebacker for the Cape Refuge football dream, whose family is “one of the biggest suppliers of cocaine in the south-east" is distinctly novelettish, reminiscent of the scheming scoundrel's seduction of the innocent virgin in the world of the romantic novelist: "He leaned over and kissed her, long and hard and hungry, and she felt him moving closer, his hands groping where they shouldn't ... Despite her buzz, an alarm went off in her mind. But she didn't want to heed it. She wanted to let him kiss her just the way he was, wanting to feel that she belonged just a little while longer ... Sliding her arms around him, she surrendered fully to that kiss." "Sadie," Morgan had warned, “I have prayed for the (Beal) family, but dating one of them is another thing altogether." “Maybe I could lead him to Christ," Sadie had suggested hopefully. “Honey, that hardly ever happens in a dating relationship. What happens instead is that the unbeliever changes the believer." This sounds much more down to earth. The chasm between believer and unbeliever is brought out again when Cade, while held captive, pictures “Blair sitting at her computer day and night, pulling up databases and searching for answers  the armchair detective who should have been a cop herself." But “he had long ago resolved in his heart not to break God's heart by marrying an unbeliever .... How could he become one with a woman whose philosophies and life goals were so radically different from his own? That meant that he remained a bachelor, biding his time and praying for God to change Blair's heart." Meanwhile Blair's journey towards faith continues. When Morgan says to her, "I didn't think you believed in God", Blair replies, “Sometimes I do, sometimes I don't. If there is one, I don't get why he would let this happen." But when she prays for Cade there are happy results, and she ends up by opening her heart to Jesus and falling "into the arms of Refuge Himself." By now Blair had been too busy searching for Cade to be able to keep the library open so she had had to quit her job. Then she had had the bright idea of buying a newspaper -- not just a single copy but the whole works. Morgan had told her, "Maybe losing the librarian job is a blessing in disguise. Maybe the Lord's opening another door for you." So, despite a total lack of writing, publishing or editorial experience, she found that all she needed to get the first edition on the streets was to enlist young Sadie's help, then work through just one night. It's back to the world of romantic fiction. The story builds up to a slightly absurd chase scene, complete with “thunder cracking and lightning flashing, as if God had had enough." But Blair prays, “Please, Jesus." So everything is all right in the end. River's Edge describes how Ben Jackson seems sure to defeat Jonathan Cleary in Cape Refuge's mayoral race, but then Ben's wife, Lisa, goes missing the day before a major debate. Suspecting foul play, Police Chief Cade launches an islandwide search, but it takes a psychic's "vision" to identify the riverside where Lisa's car and body are found. Jonathan, who is now director of the Hanover House refuge with his wife Morgan, and pastors their little church (without, it seems, any sort of formal training), still earns his living as a fishing tour guide, and we soon feel involved in his (or Morgan's?) apparent infertility, and its immediate consequences. The discovery of Lisa's body leads to a national media circus involving an unscrupulous and ambitious reporter, but he is not the only one on the trail: Blair Owens who now runs the Cape Review Journal (she not only writes most of it and takes her own photos but even prints it herself!) uses her investigative skills to uncover other people with motives for murder. Could there be some connection with the mayoral race, Lisa's husband's alleged affair, or her decade-long struggle with infertility? This is another story that holds the interest even if the ending seems altogether too good to be true, with the final revelation of the murderer's identity, and his dramatic arrest on live television, being far from convincing. But we get to care about the characters, such as Blair's sister Morgan, still desperately longing for a baby, and Morgan's foster child 17-year-old Sadie whose mother, Sheila, is about to be released from prison and who, Morgan hopes, will also settle in at Hanover House and prove a responsible mother for 18-month-old Caleb, whose name we are now told is Caleb Seth Caruso.There is a bit of an in-joke here because in the first book the author had accidentally started calling the child Seth - so this conveniently provides a (rather delayed) reason why! And you get to feel very involved in the coming election for mayor, because unless Jonathan wins, Cade's very job is threatened. At first the romance between Blair and Cade seems to have stalled: "It had been a month since that first kiss between them, and ever since she'd walked around with butterflies in your stomach, wondering if it had meant as much to him as it had to her. Though he'd been spending a lot more time with her since then, she didn't want to assume anything." It sounds distinctly novelletish but with a religious message tacked on: it had only been a few weeks since Blair had been "born again". Cade had attended her baptism and been "the first to hug her as she came dripping onto the shore". So she increasingly seems to act as spokeswoman for the author, who tells us in her afterword that “I believe the Bible is true, every word of it  so far as it's translated accurately. I believe our Lord chose every word with great care and precision.“ So Blair has no problems in turning directly to Deuteronomy to convince herself that the psychic who knew where Lisa's body was to be found must be a fake. After some melodramatic scenes at Lisa's graveside, Blair herself comments, "That was unbelievable. Dramatic, but unbelievable." And that just about sums up the book, although I must admit that I still enjoyed reading it. Breaker's Reef is the last book in the series. When a famous and distinctly odd mystery writer moves to Cape Refuge, ex-con Sheila Caruso  mother to Sadie and Caleb  is thrilled to get a job working for him as his assistant. He even sees the fact that she has not any qualifications as being a positive advantage! But when a teenage girl is found murdered, Sheila discovers that a scene in one of the eccentric writer's novels matches the crime scene. Then a second dead girl is discovered by police chief Cade and Blair Owens. And when this murder mirrors a scene in another of the writer's books, Cade is drawn into a web of trickery and deceit, and, as in one of the previous books, evidence soon emerges that that once again points to him as the number one suspect! You can't help feeling you've been here before. Cade struggles to clear his name, but, for the first time, emerges as a less than competent detective as he fails to act promptly enough on two separate occasions, as when 18 year old Sadie Caruso disappears, after twice being stupid enough to visiting the notorious Flagstaff Motel, leading to a dramatic and attention-grabbing, if ultimately absurd, climax, involving Sadie, her newly discovered sister, and her mother Sheila (who has also turned detective). Blair herself is less involved than before, although the murderer's accomplice is finally unmasked in the middle of her wedding celebrations, when she does not hesitate to grab a camera and chase after the fleeing villain - who ends up making a long speech in which he confesses everything. As usual, his identity comes as a complete surprise, as we have not previously been given any real clues by the author. The author is essentially a romantic novelist, as when she describes the sinister behavior of the creepy mystery writer, or Cade's secret but highly elaborate plans on how to propose to Blair (leading up to the moment when "a symphony crescendoed in her heart"), or Sadie's dilemma in choosing between her two possible boy friends. It is Sadie who, without the benefit of any training, and after just a year's part-time work on Blair's paper, “was already a gifted journalist" and “snapped pictures" with the best of them. Blair herself “wanted to put out an extra issue of the paper in which to announce her engagement", and, on the day of the wedding, "the ocean was calm, rolling against the shore in whispered approval of what was soon to take place." All this is fantasy land, and is entertaining enough (although the pace starts to lag in this particular book) but it does not seem an entirely appropriate background for the author's religious message. And the cold blooded way in which a murderer is eventually shot strikes an odd note. “I want to be the one to drop him into the pit of hell," Sadie had said. So much for all that loving kindness. The author has her own attractive and very informative (although not over-modest) website, and there is more information on the Mississippi Writers and Musicians site, as well as numerous other mentions. The cover looks quite attractive, as well as being suitably menacing.